I don’t know if it’s at a high. Those Vegas games, it was almost like a book end to the stretch run. They were big games. We were trying to get our foot back in a playoff spot, so we really put a lot of emphasis just focusing on those games. But, now coming out of that situation, it’s not just that game, you go back to the Winnipeg game, but we really like when we’re really on top of our team game that we can beat good teams and we can be a really good team, and that’s been kind of our focus. I think Jeff’s veteran presence – not only him as a player – but his veteran presence has really helped us. I think it’s going to help Ty and Tanner, and I think with the guys we’ve added, with Thompson and Phaneuf, it’s really going to help in that regard, too. We like the fact that we can have veteran guys playing with some younger kids, and I think it really helps him, and when we can do that through our lineup, I think it’s really helped our team, and that has given us some confidence. They play hard. It’s probably a good reference point coming out of the Vegas game. Vegas plays extremely hard on the puck. I think any time you play Columbus, you have to be ready to embrace the play along the wall. They’re heavy to the puck on the goal line. Wall play, they’re probably a little more aggressive down the walls than what we saw the last couple games, so we’ve got to be ready for it. 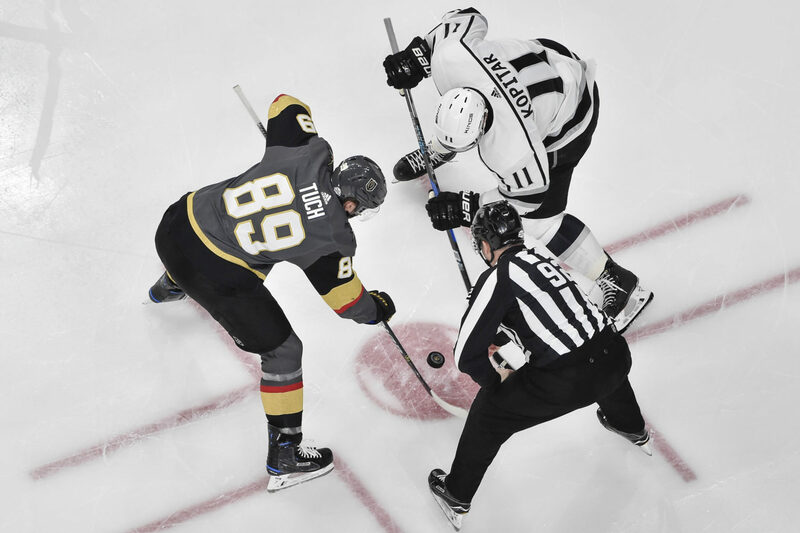 I remember the game in Columbus – it’s a heavy, hard game, and not unlike the Dallas game we played a few games ago, so I think that’s what we would expect. The other thing we see with Columbus a lot – well, two things. Their defensemen are extremely mobile, a lot like the Nashville defense where they skate pucks out of trouble and they’re very involved skating pucks up the ice and the rush, and they get very involved in the offensive zone, and if you look at the additions that you’re talking about, they’ve really created a lot of depth trhough four lines of their team. If they stay with it, they’ve got Calvert and Letestu and Jenner on the fourth line, so I think the strength of our team has been the ability to play four lines, and I think the strength of their team is their ability to play four lines. I think the preparation and the mindset going into home games is the same whether on the road or at home. I think the routine changes a little bit. Really, we’ve been trying to emphasize individual preparation. It’s not a problem, but part of the issue at home is that we’ve been coming off road trips and right back into games again, and I think you know as a player that sometimes can be difficult because you’re off the road and you feel like you can relax for a day, but you can’t. You have to be ready to play again. The games are important, the teams coming in here, there’s a lot at stake. I just think the focus on playing a simple game early, managing the puck early and getting involved in the heavy part of the game right away, whether at home or on the road, is going to be important. You just take those last two games – we had a back-to-back and a tough schedule, and he was a dominant player. I think he really embraced the challenge of the people he was playing against. I think he knew how important the games were, and that’s as good of leadership as I’ve seen from a player. Kopi’s always been a good leader, but it just seemed like he wanted to make a difference. Not just defensively, but offensively he had a really interior game, and he made a difference in all situations. I don’t know – he’s got a lot of confidence in his game right now. I think he feels good about his game, and he’s really taken some ownership in leading our team game. He’s played as well as we’ve ever seen him play.